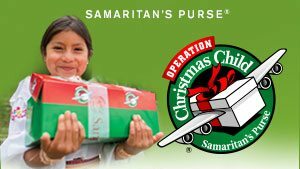 We are asking every Heritage student to bring in $1-$2 (or MORE to cover for those students that don’t bring money in) to help cover the shipping and handling cost ($9 for each shoebox). SMALL toys (that can fit in a small shoebox) – small cars, dolls, stuffed animals, yo-yos, jump ropes, toys that light-up or make noise, etc. PLEASE, NO WAR-RELATED TOYS OR BREAKABLE ITEMS.